iPad 6th Generation (2018) Glass Screen and Digitizer Repair. Is this the right repair for you? 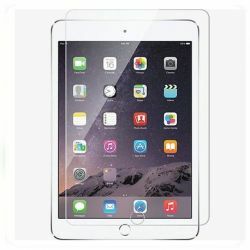 What causes the iPad 6th Generation (2018) screen and digitizer to break? The most common problem that we see is accidental damage. The glass is sat inside an aluminium shell which if impacted can press into the glass screen and crack it. Also, heavy items being dropped on to the face of the iPad can crack it. If the iPad 6th Generation (2018) is smashed or cracked but the LCD is still turning on then we can replace the screen. Also known as the digitizer, the glass screen has the touch sensitive digitizer on the bottom layer. If you are having problems with the touch screen not working, the screen needs to be replaced. It is rare for this fault to appear without accidental damage but it has been known. It is also possible that it can be a problem on the logic board that in some cases is irreparable. How do we repair the iPad 6th Generation (2018) screen? The first thing we do before any repair is test the iPad to confirm the fault. There is no way to repair the screen other than replacing it. Almost every iPad 6th Generation (2018) we see has some sort of dent or scuff in the housing that we will straighten out as best as we can in order for the new screen to fit flush. Some back plates are warped too and can be harder to make flush but we will do our best. We then fit and seal a new screen down and test it out. The iPad 6th Generation (2018) then goes to our testing bench where we test all repairs prior to dispatch.